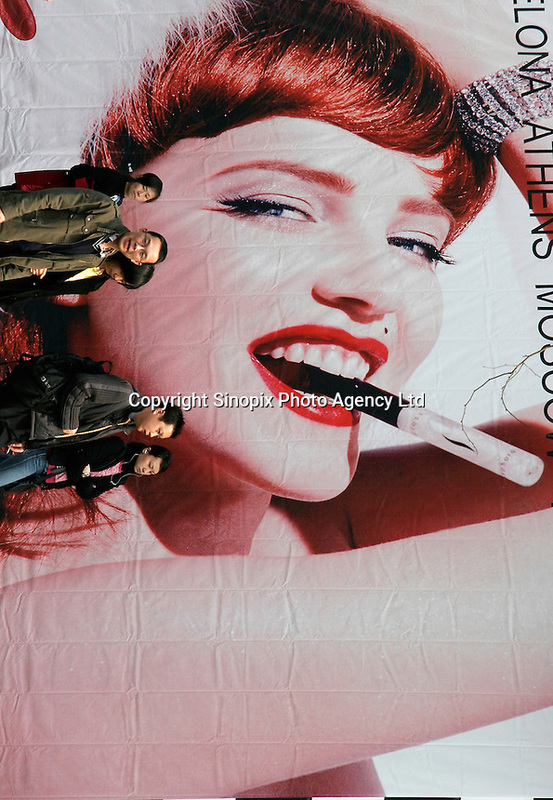 Pedestrians walk past a large cosmetics advertisements in Shanghai, China 02 April, 2005. As cosmetics consumption in China growing along with the rest of the economy, many foreign cosmetics makers and retailers are looking to tap into the market. The French retail chain Sephora and Hong Kong chain Sasa are both setting their flagship store in Shanghai this spring with more stores around the country to come.